Thangka of Hayagriva. 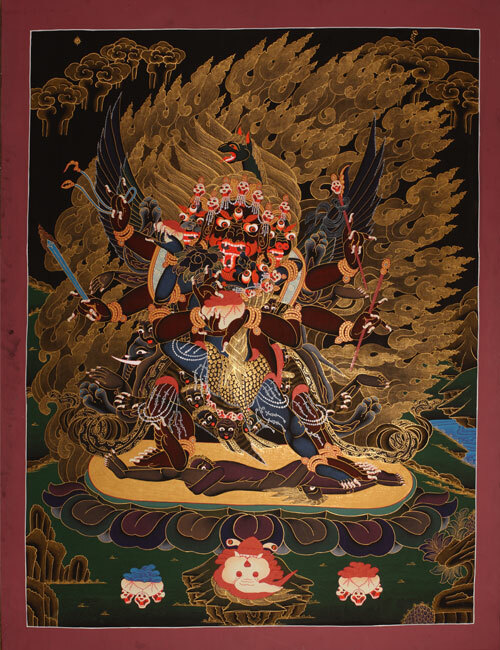 The guardian deity of doctrine and fighter against demons appears on this thangka on black background. An impressive and very fine painting of Tamgrin.